If you have been looking for the ideal way to carry your knife or gun, IWB loops are excellent. IWB (inside the waist band) is a great way to carry securely. 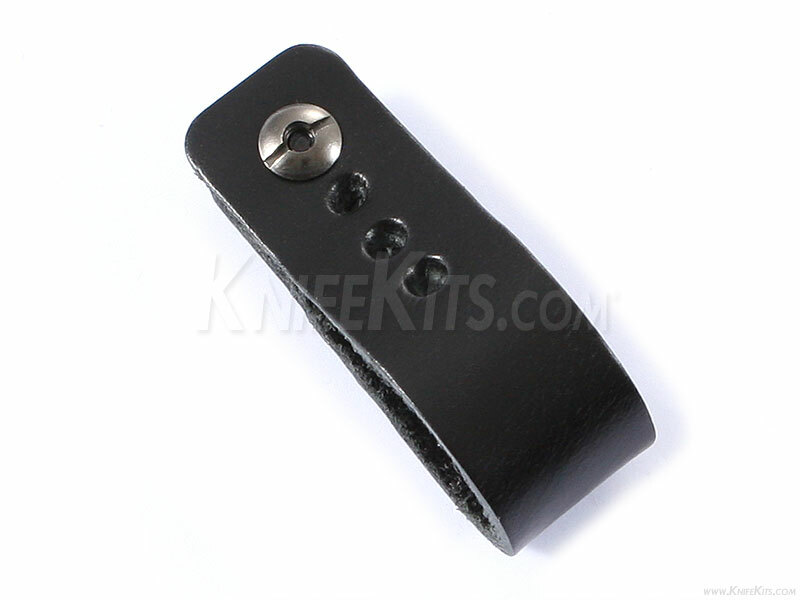 These black 10-12oz leather IWB loops are a great value. This loop design affixes to your sheath via a chicago screw (not-included) and has a stainless steel "Eagle" locking snap opener on it for secure carry. 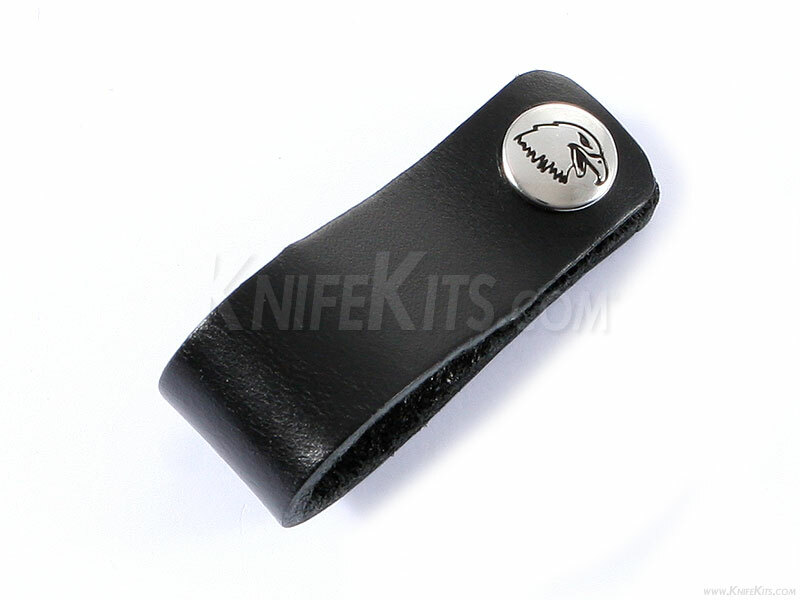 The IWB loop itself is made from Black 10-12oz leather and is comfortable, quiet, stealthy and rugged. Leather sits and fits well against your belt and waist and has stood the test of time!